We hold baptism registers for St Mary’s from 1982 to the present day, and marriage registers from 2013 to the present day. We hold baptism registers for St Peter’s from 1996 to the present day, and marriage registers from 1995 to the present day. 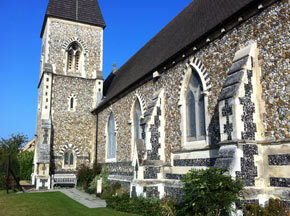 Baptisms held at St Peter’s from 1858 to 1995 were recorded in the St Mary’s baptism registers. Records for marriages at St Peter’s from 1899 to 1910 and from 1972 to 1995 are held at the record office. We suspect that marriages prior to 1899 and between 1910 and 1972 are recorded in the St Mary’s marriage registers. 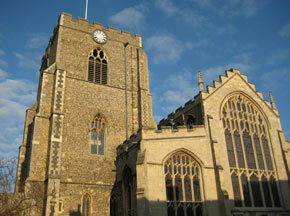 Registers for baptisms at St Mary’s and St Peter’s from 1538 to 1983, for marriages in St Mary’s from 1538 to 2010, and for burials in the Great Churchyard from 1538 to 1919 are kept at the Bury St Edmunds branch of the Suffolk Record Office.